First-quarter earnings for LINN Energy LLC (NASDAQ:LINE) — and by extension, its affiliate LinnCo LLC(NASDAQ:LNCO) — have just been released. At first look, the numbers came in a little light; however, the long-term story still remains very much intact. Let’s drill down to see what happened in the quarter and what investors can expect going forward. LINN Energy LLC (NASDAQ:LINE) was able to grow its average daily production by 69%, to 769 million cubic feet equivalent per day, or MMcfe/d. While that’s great growth, it’s well below the company’s guidance of between 810 MMcf/d and 845 MMcf/d. The production miss really set the tone for the rest of the report. CEO Mark Ellis noted in the press release that LINN Energy LLC (NASDAQ:LINE) experienced a “challenging operating environment” in the quarter. Specifically, the company’s production was negatively affected by the weather, infrastructure-related curtailments, and lower-than-expected oil production. While it might seem odd for an oil and gas company to blame the weather, LINN Energy LLC (NASDAQ:LINE) pointed out that severe winter weather in February and March at its mid-continent operations caused significant shut-ins and drilling delays. 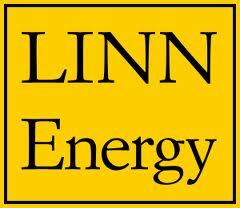 The good news is that despite these challenges, LINN Energy LLC (NASDAQ:LINE) still expects to have a solid year, with Ellis going on to say that, “the high quality and depth of our inventory still gives us the ability to grow organic production nearly 10% in 2013.” Overall, it would appear that the production hiccup is a small bump in the road, but it’s something that needs to be watched closely going forward. With LINN Energy LLC (NASDAQ:LINE)’s production below guidance, it caused the company to miss its guidance for both adjusted EBITDA, and distributable cash flow. So, while adjusted EBITDA increased 18% in the quarter to $356 million, this was below guidance of $372 million. That caused distributable cash flow per unit to come in a little light, as it was just 0.88 times verses guidance of 0.97 times. The good news here is that the company was able to reduce its lease operating expenses by 26%, to $1.24 per Mcfe, which gave a boost to earnings. Despite the miss, the company still expects that its drilling program will steadily increase its distribution coverage ratio this year. Further, the highly accretive deal to acquire Berry Petroleum Company (NYSE:BRY) remains on track, which should further bolster the company’s distribution coverage ratio and put it on much safer ground. While LINN underperformed its own expectations this quarter, there were no big red flags to worry about. The only area to watch is that LINN reported lower-than-expected oil production, as some of its recently-drilled Hogshooter wells in Granite Wash of Texas underperformed expectations. The company is shifting its focus to develop its acreage in Oklahoma, which appears to hold the more promising wells. This is temporarily putting the company’s distribution coverage ratio at a less-than-ideal ratio; however, the distribution is not in danger of being cut. LINN has already announced that its going higher after the close of the deal to acquire Berry Petroleum Company (NYSE:BRY); even better, the company announced that it’s moving to month distributions. There’s a lot more to the story here, so stay tuned to Fool.com for deeper drill down into LINN’s quarter and future plans. The article A Quick Look at LINN Energy’s Earnings originally appeared on Fool.com and is written by Matt DiLallo. Fool contributor Matt DiLallo owns shares of Linn Energy, LLC and Linn Co, LLC . The Motley Fool has no position in any of the stocks mentioned.